Durban – Eager to set themselves a new challenge, the unbeaten tandem cycling team of Bryan Cusack and Brennan Anderson have set their sights on a staggering 600km endurance ride that will end with an attempt to defend their tandem title at the upcoming Tsogo Sun Amashova Durban Classic on 21 October, all to raise money and awareness for The Cows and their CHOC Childhood Cancer Foundation fundraising efforts. “We know all about The Cows and the amazing work they do for CHOC, and we decided that we wanted to do something for them this year at the Tsogo Sun Amashova, but we really wanted to do something different, to get noticed,” said Cusack. “We have done the MRP Red Cap Ride from Johannesburg to Durban, which is over two days, so we decided we would ‘ride long’ and try to cover 600 kilometres inside 24 hours, finishing up with the 106km of the Tsogo Sun Amashova,” he explained. 53 year old Cusack and his 29 year old team mate Anderson, both of whom live in Athlone Park on the KZN South Coast and ride for the Westville Cycling Club, feel they will still be competitive in the KZN classic race, despite having 500 kilometres in their legs by the time they roll into Pietermaritzburg on the early hours on Sunday 21 October to make the start of the Tsogo Sun Amashova. “We are both very competitive and we haven’t been beaten on a tandem in South Africa,” said Cusack. “We never enter a race to lose, so we will do our best to retain our Tsogo Sun Amashova tandem title,” he said. They plan to start their ride in Secunda, and break the 600 kilometre ride into segments, stopping for short breaks throughout. “The stops are basically logistic stops, to get fresh drinks and change kit,” explained Cusack. “But we feel that the stops will help, and we will keep up better speed. He admitted that the toughest section will probably be the ride through the night, when they will be riding through Newcastle and Ladysmith towards Mooi River. “Every rider goes through bad patches, and we are bracing ourselves for the night sections, which will be tough,” said Cusack. 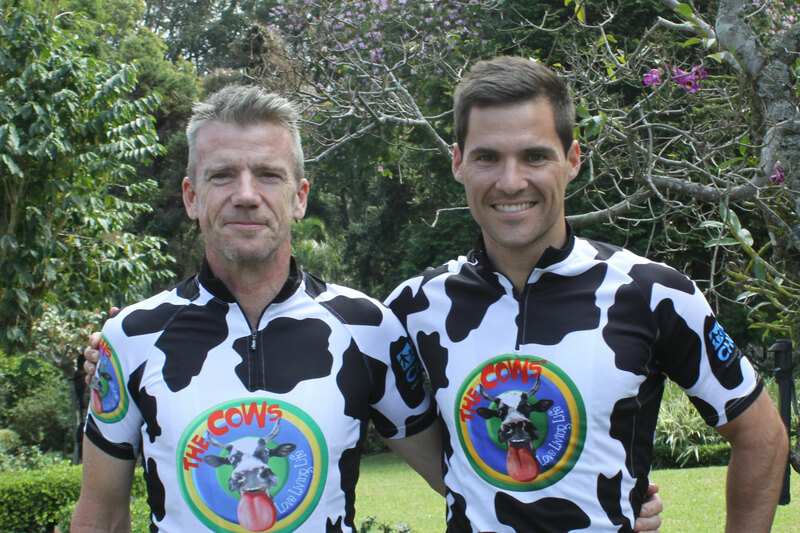 The pair are planning to secure a number of sponsors for the 600km epic ride to maximise the fundraising for The Cows’ ongoing support for the CHOC Childhood Cancer Foundation of South Africa. The Tsogo Sun Amashova has formally backed The Cows along with a number of other charities this year and will set aside a preferential batch for all charity riders raising funds. 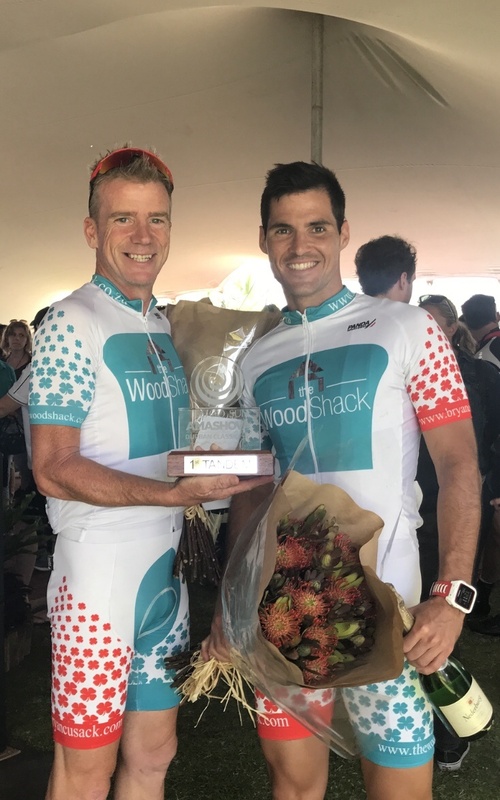 “We wish Bryan and Brennan the best of luck in their training leading up to this heroic effort that will end with us cheering them on at the finish line of the Tsogo Sun Amashova," stated Tsogo Sun Amashova Race Director, Annie Batchelder. "We have seen a significant increase in the number of cyclists riding for a cause in this year’s race and it just speaks volumes to how the social aspect of the race has grown, which is reflective of 'The Spirit of Shova’,” she added.